The Lightweight T2 Merino Cool is extended above the ankle to offer the protection you need, on any terrain. Engineered T2 anti-compression cushioning provides comfort for the Achilles, heel and forefoot whilst sculptured open mesh structure transports moisture away from the foot. Merino Cool Fusion Technology provides resilient padding, odour control, moisture wicking and outstanding durability for all day comfort. The Performance Fit is close and supportive and won’t slip down or bunch in your footwear. The Flat Toe Seam minimises bulk that could cause irritation in the toe box and the sock is kept securely in place with an Elasticated Arch and 3D-shaped heel cup. 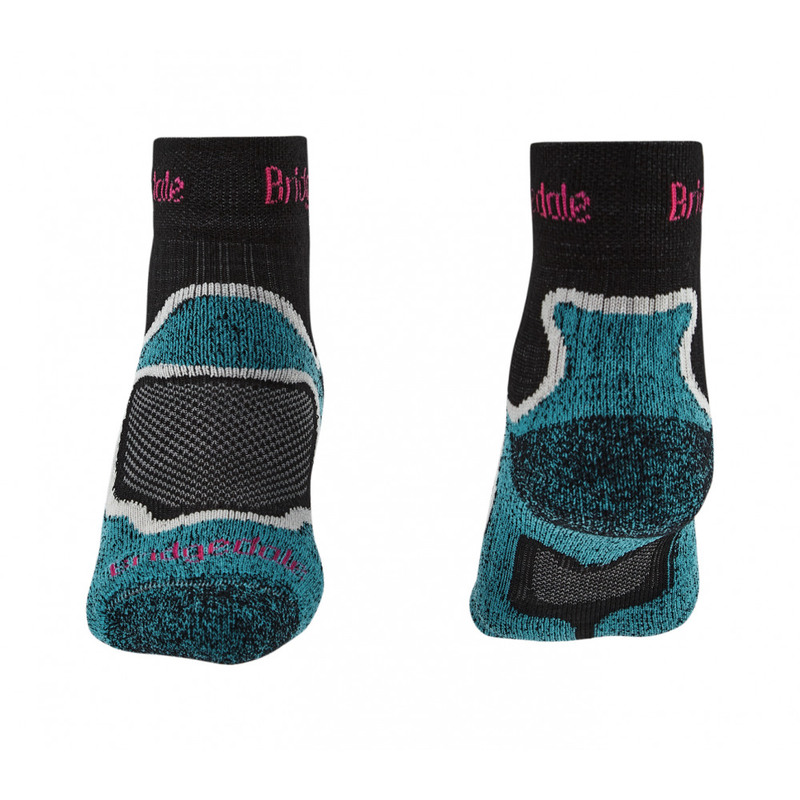 Built on a structure of Lycra® and set by Bridgedale's Thermo Fit process, ensures the sock returns to its original shape and size after every wash.